The Second Life of Ava Rivers releases today, and I am so excited to have author Faith Garner on the blog today! Since The Second Life of Ava Rivers is a mystery dealing with a missing person case, I was curious about the research involved for this book. So, I jumped at the opportunity to be able to ask Faith about if any real life cases of disappearances inspired her and about the research she did. I am very drawn to missing persons stories. Have been since I was a weird little kid. One of the first news stories I remember following was the disappearance of Polly Klaas. When she went missing in Petaluma, California, the widely publicized case shocked me to my 11-year-old core. There was something so familiar about her face. The fact a girl nearly the same age as me could just disappear from a slumber party at the hands of a human monster gave me a glimpse of the darkness and horror the world held in store. I followed her story on TV and in newspapers, staring at her school picture, unable to stop myself from imagining the horrors of her disappearance, her kidnapping and death, and the effect it had on her family and her community. Since then, I’ve been drawn to stories about missing girls. I followed the search for Raina Bo Shirley in newspapers when I was in high school. Raina Bo was a 14-year-old girl who was abducted, assaulted, and remained missing in Potter Valley, California. I was also 14 at the time. I checked the newspaper daily and clipped articles relating to her disappearance, holding out hope she’d be found alive. I was suckerpunched by the final news that her body was discovered in a river. 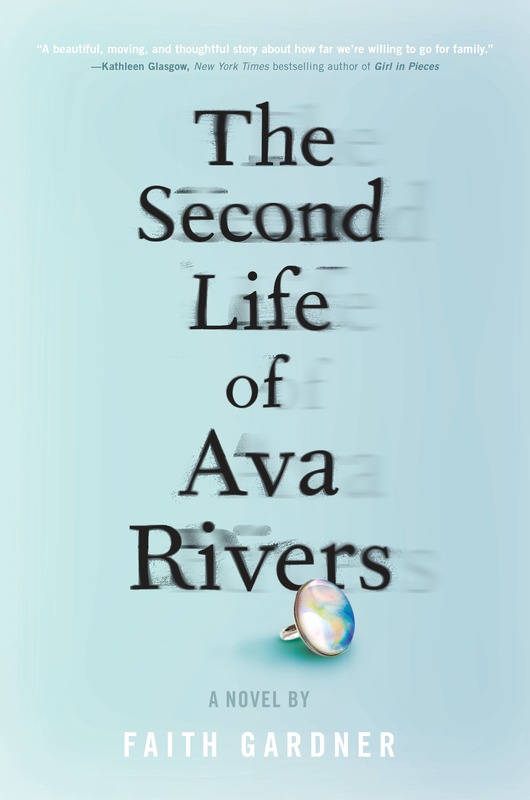 The Second Life of Ava Rivers was inspired by many cases I’ve followed in the media over the years, like the kidnapping of Amanda Berry, Gina DeJesus, and Michelle Knight; Jaycee Dugard; Elizabeth Shoaf; Elizabeth Smart; Nicholas Barclay; and Jacob Wetterling. Researchwise, I read memoirs by Berry, DeJesus, Knight, and Dugard, watched documentaries featuring many of the other cases, and listened to the podcast In the Dark, which features Wetterling’s case. There are so many narratives about kidnappings out there, but I was interested in two things when writing this book. First is the haunting quality of a trauma with no resolution, such as a missing child. Not knowing what happened to someone who simply vanished into thin air is a unique kind of devastation. There is no closure. There is a tortuous whisper of hope. I wanted to capture that in a family dynamic that has learned to function around this absence of a person, as the Rivers family has. Second, I wanted to imagine a story that begins when a person is found—in the place those memoirs and movies I read left off. As Amanda Berry described the rush of relief as she was reunited with her family at the end of her book, and the media circus and explosive joy expressed by her community, I wondered what it would be like to go back to “normal” life after captivity. How do you move forward after years of unimaginable trauma? How do you live with being “famous” for reasons you never asked for? How do you integrate someone who was traumatized and quarantined for years back into a family? Vera Rivers’ life is split in two: before her twin sister Ava disappeared twelve years ago and after. Before was hot Junes and ice cream trucks, dancing in sprinklers, loud Christmas mornings and pancakes on Saturdays. The after is everything else: police officers, investigators, tips, theories, leads, but never any answers. The case made headlines, shocked Vera’s Northern California community, and turned her family into tragic celebrities. Powerful and gripping, The Second Life of Ava Rivers is equal parts thriller, mystery, and haunting meditation on grief, family, and forgiveness. Faith Gardner is the author of the young adult novel Perdita. Her short fiction has been published in places like ZYZZYVA, PANK and McSweeney’s online. She lives in the Bay Area.